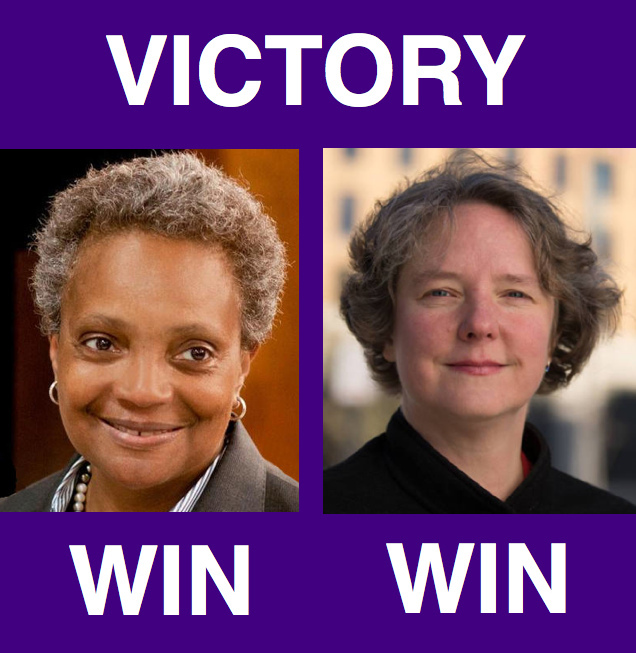 We’re on-track for 2019 to become the year of the Lesbian Mayor as Lori Lightfoot won her bid in Chicago, Illinois, Satya Rhodes-Conway won in Madison, Wisconsin & Jolie Justus placed in her Kansas City primary & will advance to the general election in June. Last month Jane Castor placed first in the Tampa mayoral election & is the frontrunner for the run-off election on April 23rd & if she wins will be the first openly LGBTQ mayor of a major city in the Southeast. Mayor Annise Parker, President & CEO of LGBTQ Victory Fund stated, “These historic victories leave us well-positioned to make 2019 the year of the lesbian mayor – potentially tripling the number of lesbians elected major city mayors in just one cycle. Lesbian mayors bring unique experiences & perspectives to the position that make them more empathetic, principled & values-driven leaders & voters in cities as diverse as Chicago, Kansas City, Madison & Tampa are clearly responding to that.” On Lori Lightfoot win Parker added, “A Black lesbian taking power in the nation’s third-largest city is a historic moment for so many communities that are too often ignored in American politics. Chicago’s enormous influence on the national dialogue provides a platform for Lori to promote more inclusive solutions to the challenges facing our cities & nation & to be a credible messenger as well. Lori will certainly remain focused on the issues facing Chicago. But as the highest-ranking LGBTQ person ever elected mayor of an American city a title she takes from me she is also now a key leader in the movement to build LGBTQ political power nationwide.” Annise Parker served as the first openly lesbian Mayor of Houston from 2010 to 2016.